You are currently browsing the category archive for the ‘Summer Salon’ category. 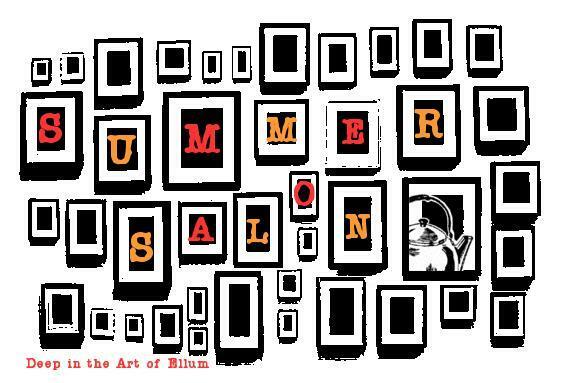 Kettle Art Gallery presents Summer Salon. As opposed to hosting traditional ‘art exhibits’ throughout the Summer months, Kettle Art Gallery is trying something a bit different this time around. Kettle will be hosting one massive, ever changing show that is spiced up weekly with various unique events, such as concerts, drawing classes, spoken word nights, film nights, wine walks etc. This exhibit opens Saturday, 6 / 20 and runs through ? Artists include but are not limited to: Richard Ross, Johnny Hawkins, Emily Hawkins, Nick Glenn, Justin Clumpner, Jennifer Lafleur, Miguel Aguilar, Brian Crawford, George Fowler, Judith Lea Perkins, Tom Currie, Minji Waltrous, Clay Stinnett, George Wallace III, Micah Rabalais, John Irizarry, Jeff Skele, Larry Carey, Hilda LaFleur, Brad Albright, Frank Campagna and more..